Not all peptides in skin care are created equal. If you have already tried one or two, you know what I mean. Simply, there are too many peptides out there and that can be mind-boggling. Not to worry, we did the work for you. We decided to choose a formulation with an excellent peptide combo and skin care superstars that are supported by science, such as Vitamin C and Niacinamide. 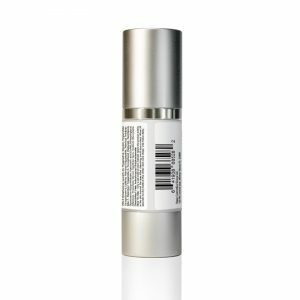 Matrix+ Eye Gel is an advanced multiple purpose skin care regimen designed specifically for the delicate skin around the eye area. It contains 3 well known and well tested skin beneficial peptides (Palmitoyl Oligopeptide, Palmitoyl Tetrapeptide-7, Palmitoyl Tripeptide-5) along with a full dose of Vitamin C and Niacinamide working synergistically to rejuvenate, firm and brighten the skin around eyes improving the appearance of the fine lines, wrinkles and dark circles around eyes. Vitamin C and Niacinamide in this formulation are also strong antioxidants and energy boosters to protect and help the skin to stay healthy. Airless and light protected packaging is so critical to protect such skin beneficial ingredients for keeping their skin care power constantly throughout it’s full shelf life. Only a pea sized portion of product is needed. Apply the product evenly to the skin around the eyes after cleansing and drying, avoid eye contact. Allow 30 seconds to dry before any further skin care steps. Use twice daily.